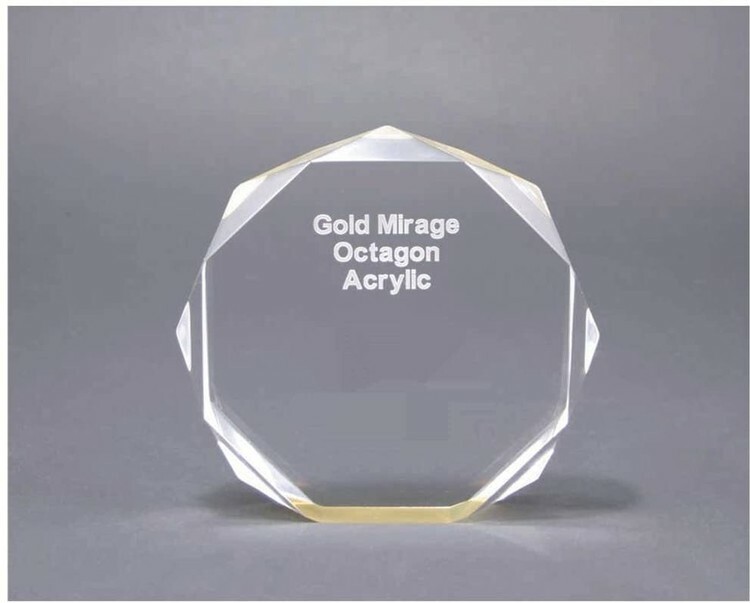 This gold reflective acrylic award is self-standing. Engraving is included. Engravable area is 5" x 5"